MARPA HOUSE is a Buddhist retreat centre dedicated to the advancement of Tibetan Buddhism. It was established in 1973 by Lama Chime Rinpoche who came to the West in the previous decade. A centre was founded close to London, Rinpoche being helped in this initial founding by several kind students. The house that Lama Chime Rinpoche chose for the retreat centre is in Ashdon. Built in 1890, it was originally called All Saints’ Home. The building and the gardens around the house have a very positive history because All Saints’ Home was a refuge for homeless children (mainly from London) for 83 years from the inception by Dr Henry Swete. 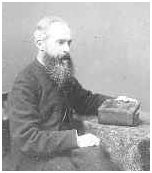 In the late n ineteenth century Dr Henry Swete, as the Lord of Ashdon Rectory Manor, was very influential. He decided to provide a thatched cottage rent free to the ‘Church of England Society for Providing Homes for Waifs and Strays’. At that time there were many orphans surviving on the streets in the big cities of England, notably in London. Dr Swete paid half the cost of furnishing that cottage (which is now a private home). In 1885 the first group of boys arrived from London. At first there were six children then a further three followed quickly to fill the house. Each boy had a mall garden and attended the village school. 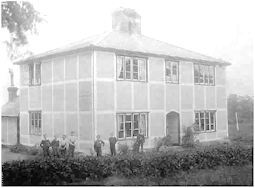 The original cottage though, was in bad condition; so Dr Swete very soon decided to build a new house for 12 children close to his Rectory and on land rented from Gonville and Caius College, Cambridge. The house was opened in 1890, and became known as All Saints’ Home. All Saints’ Home was run by a local committee, and one of the most prominent early members of the committee was Mrs Brocklebank of Bartlow Hall. Bartlow is a village close by. Also mentionable is Ellen Whitehead who became matron in 1895 and stayed on for 37 years. From its dedication, in 1890, until 1973 the house continued to be a home for 12 boys between the ages of 8 and 13. The boys in the Home were of diverse cultural backgrounds, and a few of the later residents have been back to revisit the house and grounds. Further visits by original residents are very welcome by appointment. Around the walls of the original play room in All Saints’ Home were hand-painted murals of local animals and people. Having been decorated over, they were lost for years. However, they were uncovered during renovations and redecoration of the shrine room at Marpa House, and some of the beautiful and unique paintings are shown here. 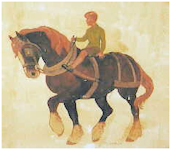 There is a small boy riding on a very large and striking horse called ‘Punch’, a man walking a harnessed working horse, and two pictures of dogs – one a domestic dog, and the other a hound. All photographs are by courtesy of Mr. John Double, resident of Ashdon, and a former member of the All Saints’ Home committee.